There is much to be said about the range and quality of plumbing services available through STAR. First of all, our plumbing services are available whenever you require them. That is, our renowned 24 hour emergency response service stands for a commitment to our patrons in Edmonton and surrounding areas, and their evolving, occasionally unexpected plumbing needs. Our fleet is the largest in the province and ensures that we will remain the most reliable in the plumbing industry. Our staff are highly skilled, committed, mobile and adaptable. We ensure that the products and tools used in our plumbing practice are the best available. As the demands of our patrons and the industry evolve, we guarantee that our staff and resources do as well. Our plumbers are accredited professionals who are extremely knowledgeable about hot water tanks (HWT): providing the best quality models, providing installations of them correctly, repairing damaged models and performing routine maintenance. Our plumbers are skilled and experienced in selecting, installing, repairing and maintaining the best boilers for your home or company. Regular maintenance of a boiler is so often vital to the health of a heating system, especially when there is water involved. Trust STAR wit this important task. STAR can help you install the highest quality drains that make for high quality, consistent flow. Drains have the tendency of becoming congested; when this happens, trust us to restore their cleanliness and function. It can be easy to take your toilets, showers and sinks for granted- that is, until they stop working. STAR can help prevent this by effectively installing the best in toilets, showers and sinks, or efficiently and promptly remedying any problems that may unexpectedly arise. Pipes are the arteries of your plumbing system. From pipe cleaning, to pipe repairing leaky or clogged pipes, STAR are experienced in ensuring that things flow as they are supposed to or better. 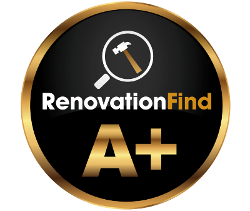 Whether performing small residential renovations or seeking advice or reviews on your renovation plan, STAR is happy to partner with you in your upcoming project. Call today!